Guess what happens every time a person of color dares to speak up against Trump's tyranny? First, the Liar-In-Chief doubles down on his lie, and then he has his minions repeat it, calling the truth "fake news." It's the formula for a dictatorship. 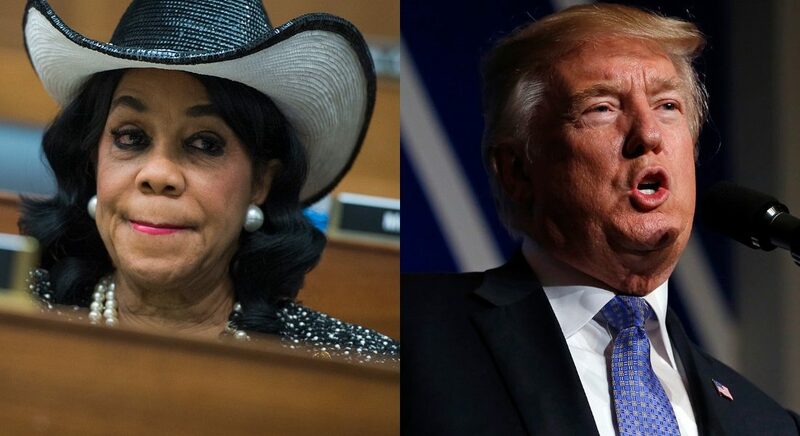 Rep. Frederica Wilson, an African-America, has had to stay home since a barrage of ongoing threats against her for daring to criticize Trump's handling of a conversation with the family of Sgt. La David Johnson, who was killed during an Oct. 4 ambush in Niger. One racist threat against Wilson that surfaced on Facebook by a Chicago-area man is being investigated by police. "Need ten good men to help carry out a lynching," the post read. "Must have own horse and saddle. Rope will be provided. This congresswomen (sic) is a disgusting pig. Someone should take their boot to her face." This is the kind of reaction Trump followers have whenever anyone dares to question their supreme leader's judgement, or actions. Meanwhile, the one supposed adult in the West Wing, chief of staff John Kelly, spent 20 minutes criticizing Wilson without using her name and incorrectly recounting a 2015 FBI dedication ceremony speech that Wilson gave in Miramar, Fla. Despite being caught lying, his accusations were refuted by a video of the Congresswoman's speech, Kelly won't apologize - a trick he learned from Trump. The title, White House, has taken on a whole new meaning under the Trump Administration.